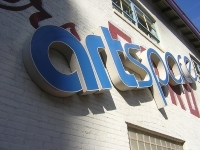 Artspace is a pioneering visual arts centre that allows the public to become part of the creative process. As the heart of Raleigh's arts community, Artspace stages countless challenging and award-winning exhibitions, workshops, outreach programs, and public events each year. Its unique open studio environment enables artists to collaborate with one another and with visitors. Today, it is one of the largest open studio spaces in the country, and offers a variety of art classes for children and adults. The fact that there is no admission cost is an extra bonus. For details on what exhibitions are on show and what artists are in residence during your visit check the official website listed below.